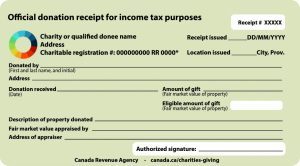 The Income Tax Act currently permits a registered charity to issue official donation receipts for income tax purposes for donations that legally qualify as gifts. To qualify the gift must be property of some kind: cash, investments, real property, and the rights to receive property of some kind all qualify. 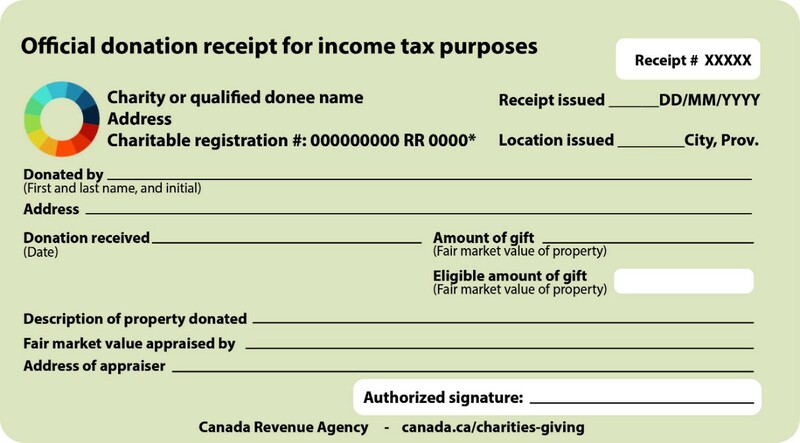 However, the contributions of services, time, skills or efforts, are not property, and do not qualify as a gifts for the purposes of issuing official donation receipts. A charity cannot issue an official donation receipt for services rendered free of charge. A charity may issue an official donation receipt if a service is provided to the charity, the charity pays for the service, and the service provider then returns the payment to the charity as a gift. In that situation, there are two transactions. The first is the payment for the provision of the service. The return of the payment is the qualifying gift. The charity and the service provider should exchange payments such that they leave a paper trail in the event that either is audited. An exchange of cheques, with the corresponding deposits, is advisable. Contact our office if you have any questions regarding issuing receipts for donations.